In last week’s article, we went over blog post formats 1and two, the how-to post and the list based post. Now, it’s on to formats 3, 4, and 5. Before we get into the format, let’s go over what content curation is. In simple terms, it’s using someone else’s content on your site by linking to it. You lead into the source content with your own perspective and ideas. Then add text leading the reader to the original source. You might use: ‘To read more about this, go to . . .’ Or, you might use: To read the original article, go to . . . The idea is to link to the source article through a ‘more reading’ setup. The benefit to you is saving time. You don’t have to write a full post, yet you get fresh content that will be helpful to your readers. The fresh content and fresh viewpoint helps increase your authority and helps build you into the ‘go to person’ for your niche. You do though need to make sure the content is relevant to your site and it’d be a good idea if you leave a comment on the original article’s post. Another benefit to this blog format is trackbacking. Linking to the original source’s post will bring the attention of the source site to your site. The newsjacking blog post format is about making use of headline news within your industry/niche. This type of post is usually timely. It’s very useful if you want to be the one to bring breaking news to your audience. You can also use newsjacking with the curation format. This format takes advantage of visual (and audio) content, in place of all text. This format helps break things up a bit. People love visuals. Adding videos or SlideShare presentations spices your blog up. Along with adding variety, the visual posts allow you to actually demonstrate tricky topics. For example, when explaining how to use hyperlinks or deep links, it’s much easier for the reader to SEE how to do it, rather than read about it. 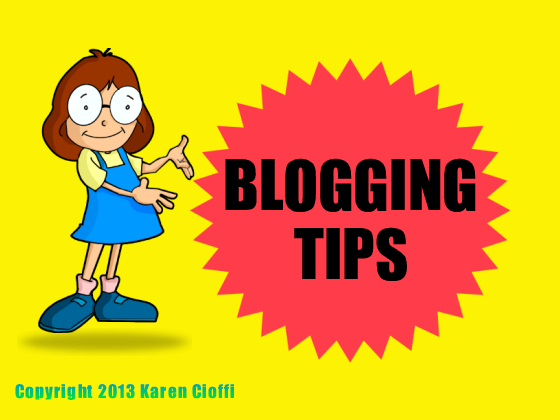 Blogging is a must if you want to create and increase visibility, readership, leads, and sales. But, simply blogging isn’t enough, you need to know how to blog effectively. Using these five blogging formats will help you keep your blog posts fresh and keep your audience engaged and informed.